Whether you are new to genealogy or have been researching your ancestry for years, you need to know what is going on with FamilySearch®. I included the topic of FamilySearch® in class in late October and I have already heard about changes I’ll need to make to my presentation. I presented the same topic in July for the Tulsa City-County Library and had a large crowd at Hardesty Library. FamilySearch® is a free website, an online home for the Church of Jesus Christ of Latter-day Saints and their genealogical help to everyone – whether Mormon or not. The people at FamilySearch® have been listening to genealogists. I even had a meeting with Jay Verkler, the FamilySearch CEO while at the Federation of Genealogical Societies’ 2009 National Conference in Little Rock. They have introduced new online spaces, and are uploading digitized records. They have a huge volunteer indexing program and they are working to digitally back up their collection of 2.4 million rolls of microfilm as well. When I presented the program in July, I included two brand new online videos that you should be sure to watch. Visit their blog entry from July to access the videos. And, to visit their beta site, which is where they are testing all of these new features, go to http://beta.familysearch.org. 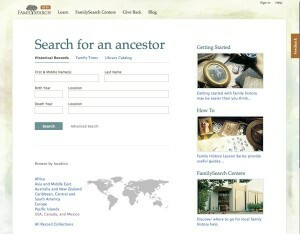 Their original site can still be found at http://www.familysearch.org. The mini workshop is a fund-raiser for TGS, and will be held at their library, 9136 E. 31st St., from 6:30 to 8:30. Check the Tulsa Genealogical Society’s website for the recommended donation amount. It’s time again for the School of Continuing Education at Boston Avenue United Methodist Church. My five-week genealogy classes will move from their usual Tuesday evenings to Wednesday mornings, from 9:30 to 10:30 and from 10:45 to 11:45. Registration for the school is $12.00, and includes all of the classes you can take for that same price. Other classes are listed in the brochure or in the church newspaper, available at BostonAvenue.org. 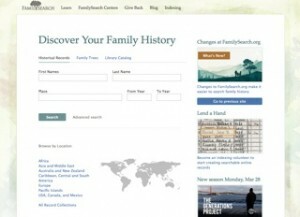 Oct 20 – What’s New at FamilySearch®? For more information call Boston Avenue at 918-583-5181 or visit the church’s web site at www.bostonavenue.org/newspaper.shtml and download the newspaper from 24 September 2010.